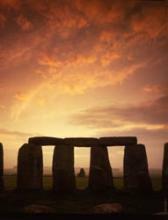 « Celtic Britain – The origin of the Celts, daily life, druids, religion, and warfare in Celtic society. A new film about King John further underlines history’s judgement of the medieval English monarch as a cruel tyrant. But among the dozens of bad kings and despots, why is John always the pantomime villain? In 1938’s The Adventures of Robin Hood, John (played by Claude Rains) is an overtaxing oppressor, while Disney’s Robin Hood showed John as a cowardly lion sucking his thumb. 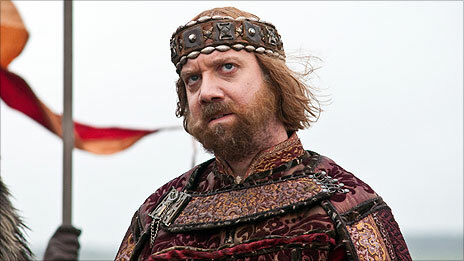 A new film Ironclad, released in the UK on Friday, stars American actor Paul Giamatti as the villainous king laying siege to the noble barons in Rochester Castle, in the civil war that followed the signing of Magna Carta. “A lot of very effective medieval kings are cruel and inspire fear but he hasn’t inspired trust. For people to trust a king and fear him is essential but people don’t trust him. But it’s simplistic to portray John as simply evil and Richard good, like in some of the Robin Hood films, he says. At least The Lion in Winter, starring Katharine Hepburn and Peter O’Toole as John’s parents Eleanor and Henry II, portrays the family tensions acutely and gives a sense of the personal power struggles within the Plantagenet dynasty. The rebellion was short-lived but Henry II punished his wife by imprisoning her for 16 years. On Henry’s death in 1189, John’s brother Richard became king but he nominated his nephew, Arthur, as heir. John tried unsuccessfully to instigate a coup while his brother was in prison, captured on his way back from fighting the Crusades. The Tudors were more sympathetic to him, although Shakespeare’s The Life and Death of King John provides a mixed portrayal of the monarch as treacherous and ruthless, but also patriotic in standing up to Rome. “The Victorians used King John as a punchbag. Prior to the 18th and 19th Century, Robin Hood was not put in a historical place. It wasn’t about the monarch at all, just Robin Hood and his adventures. The Victorians latched on to John’s moral failings like his cruelty and his sexual deviancy, taking mistresses married to barons, and this repulsed their newly-formed idea of medieval knights as perfect gentlemen. The truth is that he was an inept politician but he wasn’t a tyrant, says Mr Sturtevant. His conflicts were not with his subjects but with barons, the Pope or the French. “I see him a bit like Barack Obama in so far as he inherited a nightmare situation from his predecessor but because he was a bad politician he didn’t help himself to get out of it. Mike Ibeji, who researched King John for Simon Schama’s History of Britain on the BBC, says it was in the interests of those who put John’s successor Henry III on the throne to portray him negatively. King John was very unlucky, he says, but he also made his own bad luck. There are several times during John’s reign where he actually has the upper hand, where he’s in a position where if he just does things the right way, he’s going to end up succeeding in what he’s trying to do. 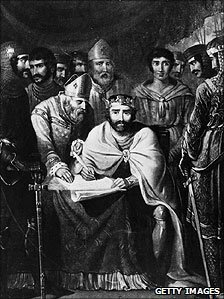 What John will always be remembered for, apart from antagonising Robin Hood, is signing Magna Carta, which limited royal power and restated English law. And some of his defenders say that at least he provoked the barons into introducing one of history’s most famous documents.